How do I download the new Guitar Conspiracy 3.0? 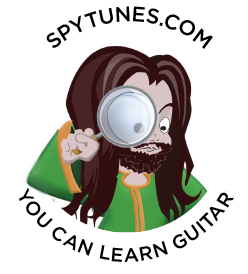 The Guitar Conspiracy 3.0 is included when you take the courses, a link is sent to you via email. How much are the step by step guitar courses? Can I swap from one course to another? Yes. As a paying member, you have access to all areas and can choose where to start and move freely from one course to another. Do I have to take the lessons in numerical order? No, you can take any lesson you want at any time. I recommend that you take them in the suggested order but when I say access all areas, I really mean it! How many lessons should I take per week? This is completely up to you, I recommend at least one a week, at the most one a day but you could do more or less. How long does it take to complete all courses? There are 240 lessons in total, take one a day you could complete the entire course in eight months. What do I do when a picture or video won't load for me? If this happens, simply refresh the page. Where can I find the guitar course lessons? In the menu, under each level, click on Guitar Course and scroll down.